As in our Forex Vs Equities article, in this article we will try explain why the forex market is best financial market for you to invest money in. The futures market a speculative currency market as well and to many novice traders it may seem somehow advantageous as it is more speculative in nature. This assumption is a false one due to various reasons. One of the key features of the forex market is its incomparable liquidity. The volume of the currency features traded every day is about 2% of the daily forex trade. Although is may seem obvious to any trader that cash will always be the dominating financial market, many tend to overlook the fact that size creates opportunities. The immense size of the forex market creates trading opportunities for any trader, no matter what risk profile or funding options he poses. The leveraging and margin options in the currency futures market are varying. The margin you'll get for a day trade is different then the one you get for an "overnight" position. The margin also can vary depending on the size of the trade. When trading on the forex market you get the same margin, day or night. The futures market demands a lot of mathematical adjustments as it includes in it various interest components and differentials. There are many time factors and interest rates that need to be taken into account while trading futures. In conclusion, it is quite easy to understand why the futures market is inferior in comparison to the forex market. Especially when taking into account that many forex providers take no commission for their services. This is also the case when using a binary options broker like OptionYard.org as well as many other brokers. 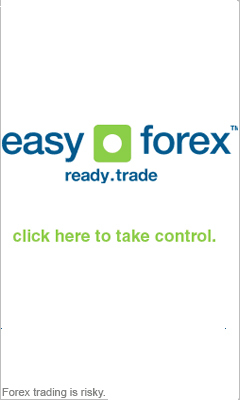 Take for example Fx Info's Suggested trading application for a great forex provider with no commissions. Tom Hills, Editorial Staff. 6th of October '05.